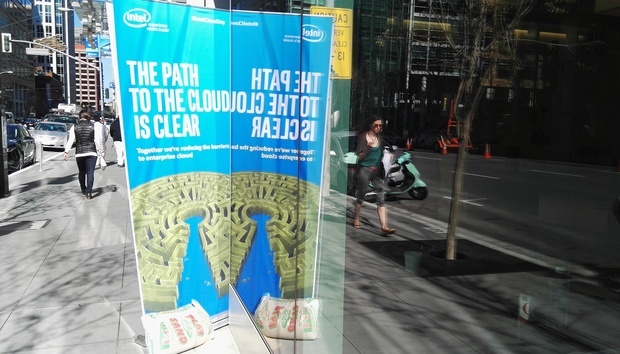 Is Intel's cloud strategy on the right track? Intel hosted a ‘Cloud Day’ in San Francisco yesterday and used the platform to announce a slew of new products, investments and partnerships. Presented as an update on its Cloud for All initiative, launched last July, it looked to generate positive news on its big ambition to “accelerate cloud adoption by making public, private and hybrid cloud solutions easier to deploy”. So, what are the challenges in this transition? “With cloud, Intel cannot just see that this is an IT issue,” Clive Longbottom, industry analyst and founder of Quocirca, tells IDG Connect ahead of the event. This appears to be precisely what Intel is trying to do. Throughout its Cloud Day, via a mix of technical presentations, workshops and Q&As – along with numerous partner and customer case studies – it is at pains to stress it is staging a multi-pronged approach to facilitate the next wave of cloud adoption. At the heart of this is a business-driven attitude and strong belief in Open Source. Jason Waxman VP of Intel’s Data Center Group and GM of its Cloud Platforms Group says, “We have to get the industry aligned” and “a big part of that,” he emphasis, is around standards. “Some people are holding back on Open Source,” he adds. The company also places a very strong emphasis on education, strategic partnerships and, of course, new Intel technology. The latest products, announced yesterday, include a new processer – the Intel Xeon E5-2600 v4 which aims to help prioritise data centre workloads – along with four new SSDs [read an in depth analysis in the Register here]. Ahead of the official release Intel has trialled these with number of high profile customers, such as eBay and Nasdaq, and naturally the event delivers a fanfare of praise. Perhaps more significantly though, Jonathan Donaldson, VP of Software Defined Infrastructure points out that when attempting to explain the benefits of Software Defined Infrastructure (SDI) – “It can be hard for customers to understand the features”. To solidify this business message Diane Bryant, Senior VP and GM of the Data Center Group, adds now the number one barrier to cloud adoption, is no longer security but “lack of expertise”. This loosely equates to the same thing again: the cloud still baffles many business leaders and they don’t necessarily know how to proceed. Intel has a number of strategies in place to address this. Apart from making the process quicker and simpler on the technological aside, it is providing plenty of hand-on training. It builders program already boasts over 340 partner companies, 259 new technical publications and 1700 freshly trained developers. While it has also just co-founded a centre of excellence with VMware to show how to deliver secure and compliant clouds. New features aside though, Intel’s Cloud Day also includes a range of big picture presentations looking at the potential in the cloud for key areas like healthcare and data analytics. Much of this is well rehearsed but the Massachusetts Open Cloud offers an interesting new business model. While The Collaboration Cancer Cloud presents a pragmatic approach to the next level of precision medicine in an extremely tough field. This means that as the cloud progresses Intel will need to make bigger and bigger decisions on what role it plans to take in the new sensor driven world. There is no question that cloud computing, data centres and storage sit at the heart of every aspect of our future business and personal lives, but as this Cloud Day shows, we’re at the start of something so big many of the details are nowhere near ironed out yet.